COMPANY PROFILE Reliance Power Ltd together with its subsidiaries is engaged in the business of generation of power. The projects under development include coal, gas, hydro, wind and solar based energy projects. The portfolio also includes ultra mega power projects. Reliance Power Ltd is an electric utility company that develops, constructs, and operates power generation projects. The company segments its activities into a Power Generation division and a Resources division. The first of these includes Reliance Power facilities throughout India that generate electricity using thermal fuel sources and renewable sources, including hydro, solar, and wind. The vast majority of the energy produced is thermal, coal-based power. Reliance Power’s Resources division houses a large coal resource portfolio that includes sizable coal reserves located in central India and Indonesia. The company’s primary sources of revenue are the sale of energy, the sale of coal, and the performance of support services. 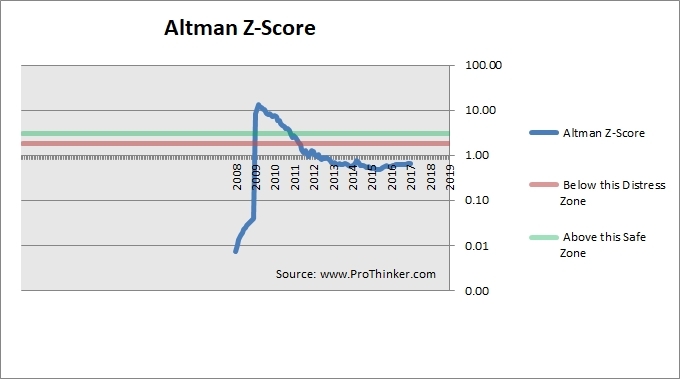 * higher level of borrowingsThe latest Z-Score of the company as at Mar 2017 was 0.7, which is in the distressed zone. 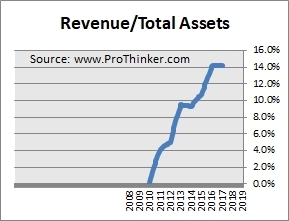 The amount of revenue generated from assets has been on an uptrend since 2009. 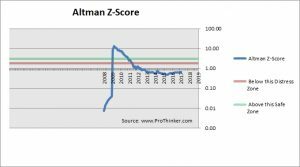 The level of retained earnings relative to assets has been on an uptrend since 2012. 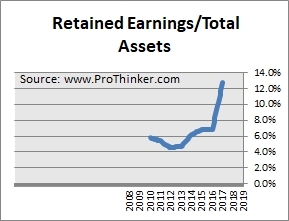 Currently, retained earnings are at 12.8% of total assets. 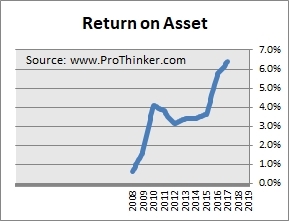 EBIT as a % of assets has been on an uptrend since 2012. Currently, EBIT is at 6.4% of total assets. 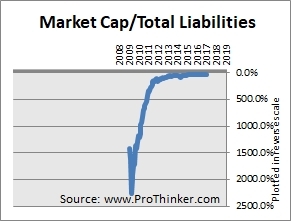 The level of borrowings has been on an uptrend since 2009. Working capital is essential to the operations of the company and a low level of working capital may result in liquidity problems. 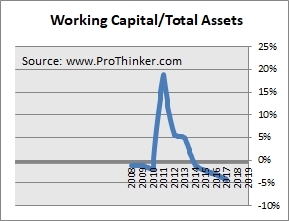 Working capital relative to total assets has been on a downtrend since 2011.